I saw this photo on a thread here on GM, and I was totally fascinated with the rat's appearance. The thread didn't have too much information besides saying that the rat originated in Holland. I did some research, and was able to find the person who took the photo of the above rat. Martin Braak lives in the Netherlands, and is a world expert on Dwarf Hamsters and a breeder. He was kind enough to answer my email, and I thought I would share it with those of you who expressed an interest in the origins of this colouration. dominant mutation red eye we do not known. rats this mutation is come from. At this moment we do also not know how it is genetic working, what it is. that it does something to the d-mutation. That explanation is a little hard to understand, but from what I'm getting this is maybe something we could produce in the US? Breeders, what's your opinion? My opinion is that it is indeed a beautiful new variety and I kinda can't wait to see one in person. I think what the breeder is saying is that this mutation is an (apparently, to their knowledge) new one which cropped up from laboratory rats in the Netherlands and is currently isolated. 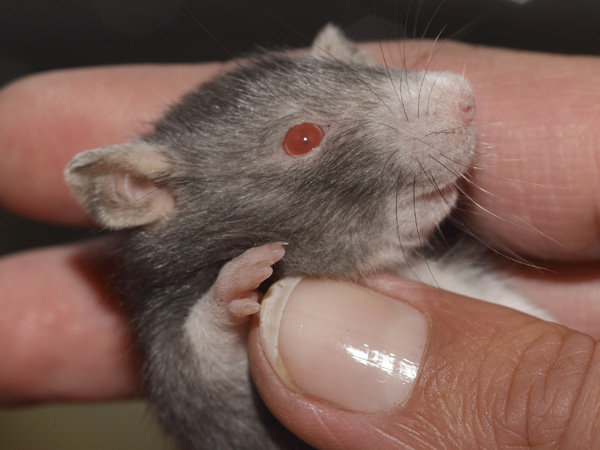 The breeder also says that while this red eyed gene appears to be dominant and thus can be bred into the rats, it must occur with this "d-gene" which doesn't appear in Agouti rats, apparently. However, I am no genetics expert, I'm just interpreting this email of his. They are very unique looking; I wonder what a very young one looks like? I believe the d-mutation stands for the Blue line. Plus, blue (g/g, d/d) does show on Agouti- otherwise there would be no Blue Agoutis or Russian Blue Wheaten Burmese. He also has these weird "stipple" rats, and tricolours. Those babies are gorgeous with the bright red contrasting against the dark. I just got an email from Martin. He's forwarded my emails to the breeder, so hopefully I'll have an update tomorrow. He's also sending more pictures!!!! Can you tell I'm pumped? Oh. My bad. I totally had not seen those pics the first time! LOL! 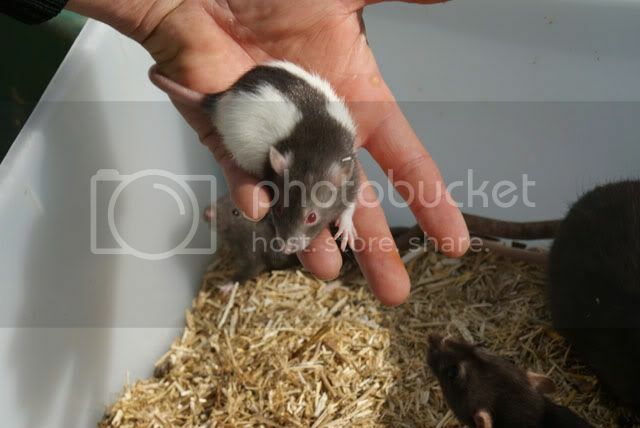 The first rat with the white spots on the belly remind me a LOT of the "snowflake" rats we had/have in the US. Rare but hard to reproduce. I had a couple, and I know of another breeder that had several. That is the best one I have seen though. 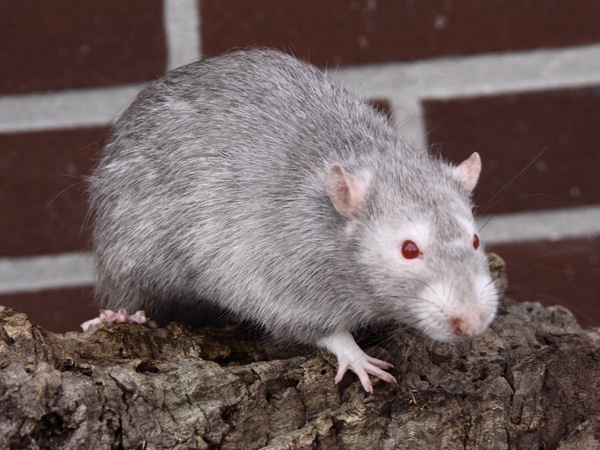 I wonder if the 'tricolor' rat is a true roan rat such as what we have in mice? 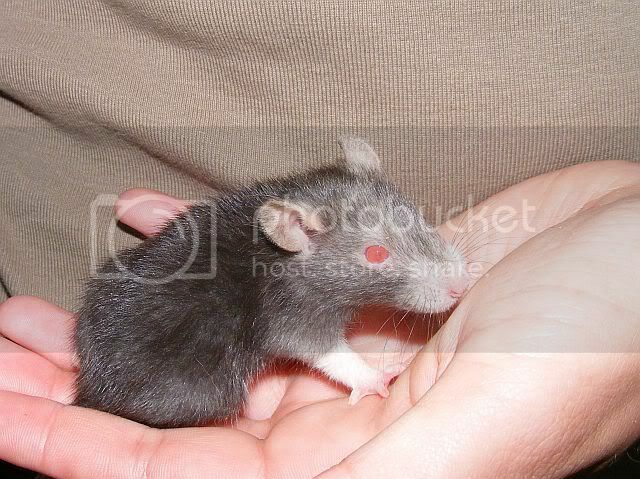 I didn't used to like red eyed rats. I specifically remember looking at tank of rats in the pet shop with a friend and saying "I don't really like the red eyed ones.....but actually that one's quite cute, isn't it?" I knew that was it and I had been taken over utterly by rats! Genetics is one of my favorite subjects and this thread has totally got me bonkers. Phalaeo- thank you SO much for sharing this fascinating information!! Gorgeous rats! Cant anyone say "IMPORT!" I'm not one that gets pumped about certain colors or "pretty rats", but... OMG. All of these pics are just fascinating to me! I definitely wouldn't mind having one or two (or more) added to my mischief!! It is an amazing mutation! I can see these rats crossing the "pond" at some point and coming to America! Wow, how cool! All those rats are so beautiful. So I wonder, maybe the agoutis he bred to didn't carry any blue (g/?, d/?) in them, thus the dominant red eyes on the d wouldn't have shown through. (If it's dREB/d, then maybe you can't get red eyes if a rat is D/dREB only d/dREB.) Or perhaps it has something to do with gene interactions. Oh, genetics, I love thee!! Those dappled/stippled rats are also beautiful. I didn't know we had a variety like that in the US, cute! I am drooling all over that genetics thread! Never have I wished I could read Dutch more, omg. Definitely looking forward to more from this thread! That's exactly the case. He purposely bred the REB to an agouti with wild origins to (almost) ensure that it didn't have any hidden dilutes. I received this from a German animal dealer, they came out of a German lab albino. It appears to be semi dominant which means that if you cross two copies, you get 100% red eyes. 3 weeks ago a litter was born from two rats of mine: a "REB" female (blue gray) x one of my black males. Black man comes from Russian blue line and black = very old line. The result is 3 x RED with white fur (looks like but is not albino). 1 x "REB" en 1 x black. There is no white in the father's line. It seems that the white color is dominant over bijde (?) parents and thus become (still) worn by mother but that would mean that the gray color blue is not dominant but the special red eyes or ... weird huh? I will continue to register any litter. Another litter "REB" x "REB" (both gray blue) gives 100% "REB"
I'm still waiting for Rene to write back, so this is only preliminary- Here is the thread if you want to refer back to the original Dutch. Calling it (RED) is going to cause some confusion. I wonder if when it becomes more known they might change or add something to it. 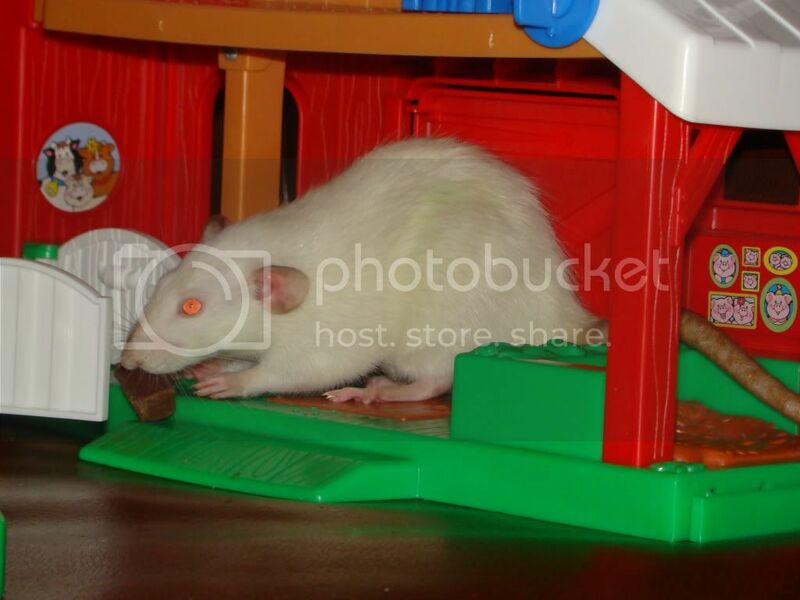 Im noticing in some of those pictures that a good amount of the rats have sharp curled inward ears. It has nothing to do with RED , but it would be handsome to have a line of rat that truly looked like devils. Lili has red eyes and they sure are pretty!! !